“Cooked” is a nationwide gustatory road-trip mapped out to right that wrong. While it lacks the ferocity of an Anthony Bourdain treatise, it has a similar effect in that it asks us to question the obvious while leaving us hungering for the forbidden fruit of our guilty pleasures. 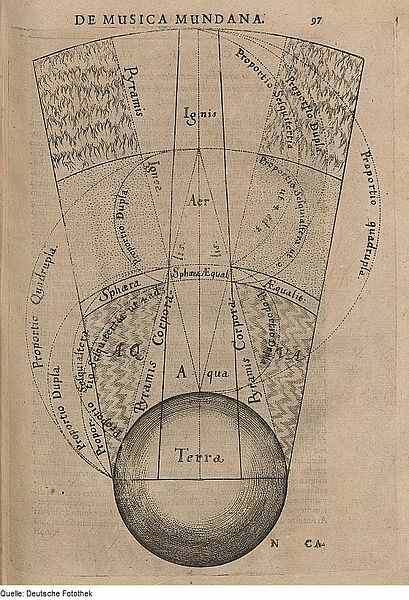 The book is organized around the four classical elements, fire, water, air, and earth. In its simplest form, “Cooked” uses each element as a classroom opportunity for Pollan to learn one classic—otherwise mundane—recipe at a time. To examine fire, he seeks out a southern barbecue master. Diving into water, he teams up with a former Chez Panisse chef. For air, he ventures into the ancient art of bread baking. And finally for earth, he seizes upon that mysterious organic process we call fermentation. These all reinforce the subtitle of the book, “A Natural History of Transformation.”“Cooked” seems more the work of a cultural anthropologist than that of the food systems activist we’ve known. Greeks and Egyptians, Persians, and even medieval alchemists all had some interpretation of the four elements. Michael Pollan leads with fire and approaches it quite literally. We go with him as he gets in his car and drives to a little town in North Carolina known for its barbecue cookery. This unproven Yankee dons his neophyte hat and wades into a backwoods barbecue pit overseen by a 30-something man with barbecue in his blood named Samuel Jones. The emphatic call to arms of fire is that it was born to cook meat. This second section starts with a chef’s most basic of tasks, chopping “veg” for a mirepoix. Pollan’s stop at this juncture is illustrative of the book’s mission. He realizes he’s been part of the problem, which thus far he’s been unwilling to admit in his other books. Recognizing that playing an active role in the preparation and “transformation” of food is the mea culpa that drives the narrative. Pollan’s work on water examines its important role in the transformation process. Extracting flavors and separating, then reconstituting, chemical compounds in food is critical to our expectations of taste. For this lesson he employs an upwardly reaching chef, Samin Nosrat, formerly of Chez Panisse fame. Pollan spent Sundays with Samin to learn the intricacies of the pot. The subtle combinations of flavors—this vegetable with that—or the order in which we add them to a soup or a braise provide telltale signals to our brain about a food’s cultural origins. Water it seems was designed for the pot, and in the pot we find veg. This chapter focuses on part of a cooking tradition that is akin to religion. In fact some of the greatest books on bread-baking are still published by Jesuit brothers and priests. Pollan joins the ranks of millions of us in search of salvation from that perfect loaf because, he intimates, we’re either meant to be bakers, or we’re not. Pollan peeks behind the curtain of naturally fermented breads, too. He talks about the mysteries and vagaries of rising dough, of the care and feeding of a sourdough starter, and the downright bizarre rituals discussed by authors and bloggers about how wild yeasts and strains of bacteria find their way into mason jars hidden in the dark recesses of San Francisco apartments. Then Pollan incriminates himself as just another foodie-mortal powerless to the seductions of bread with this mouth-watering description of the finished product. Air explains to us the importance of the places in between, and the role we have as humans to manipulate that space to our own ends. Michael Pollan doesn’t let this sensual loaf seduce him to distraction. He also looks towards other aspects of fermentation in the food system, reminding us that before refrigeration, canning, and chemicals, fermentation was the primary form of preserving food over long periods of time. He talks of Korean kimchi buried in the backyard, Russian kefir, yogurt, and of breadfruit aging in Fiji pits to eventual odiferous perfection as something resembling the scent of road kill after a week in the sun. Finally he covers something dear to many of my friends: the role of fermentation in making alcohol, and specifically beer. This, as it turns out, is another specialty of the religious. If you’ve ever had Belgian ale, you can thank a monk. Earth is really about stuff that lives and breathes and changes food from one form into another. As humans we are sometimes the instigators, but mainly bystanders in a process that closely mimics the very way life is thought to have emerged from that primordial ooze. “Cooked: A Natural History of Transformation” is an eye-opening read, but it pries your lids up in a very different way than his previous books. Gone are the diatribes and stabs at American corporate agriculture that many of us grew to appreciate from him. That edge is replaced with a new foundation of self-discovery, one akin to the sense of wonder served up by children. It begs you to turn the page, grab some ingredients, and push upon the edges of your own food comfort zone. Michael Pollan is the author of seven books including: The Botany of Desire, In Defense of Food, An Omnivore’s Dilemma, A Place of My Own, Second Nature, Food Rules, and Cooked: A Natural History of Transformation. All these books are available at our local books stores throughout northwest Lower Michigan.